Authentic assessments apply activities where students show through demonstration that they “get it”, that they understand. Tests and quizzes measure how much a learner has memorized and well they can regurgitate it (Palloff & Pratt, 2008). For an authentic performance assessment, begin by thinking about what is you want your learner to accomplish. What real world problem do you want them to solve? For the purposes of this discussion, choose one of two topics: peer assessment or performance assessment. Begin by reviewing information in this week’s Learning Resources. Based on your own experiences, chose and define how that assessment pertains to real life. Is it a real world problem with a real world solution? 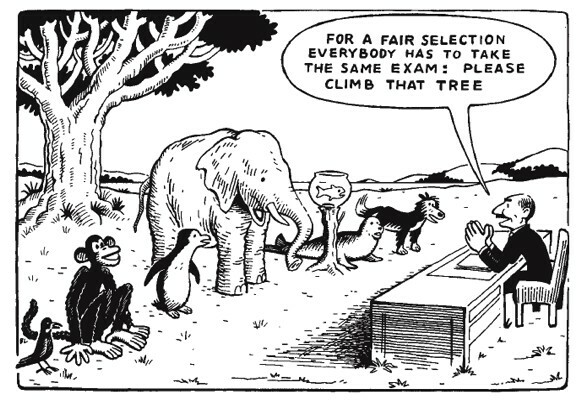 What do you perceive to be the advantages and disadvantages of the assessment you chose? Is the assessment you chose easily observable? Can it be assessed using authentic assessment criteria? What are some potential advantages and disadvantages of this type of assessment for instructors? Post your thoughts on the advantages and disadvantages of assessing your chosen topic from the perspective of the instructor and the learner. Propose two strategies, approaches, or guidelines that you consider to be “best practices” for managing and assessing your topic in an online environment. Be sure to cite information from the Learning Resources to support your thinking. Read a selection of your course mates’ postings. As you read their responses, note those to which you would like to respond with advice, questions, comments, and/or encouragement. Explain why and/ or how you see things differently. Share an insight from something that interested you in reading your course mate’s posting. Offer or support an opinion. Expand upon or ask for evidence that supports your course mate’s posting. Return to this Discussion thread in a few days. Read and respond to the responses to your initial posting. Reflect on what you learned in this activity and/or insights you gained this week. To allow adequate time for responses, please make your initial posting by Wednesday of Week 1, and your responses by Sunday of Week 1. The Internet links in this course are provided to you as a courtesy. This site does not own or operate and is in no way responsible for the content of the websites to which you will be directed upon accessing the links. This site makes no representations or warranties as to the sites’ content, does not attest to the accuracy or propriety of any information located there, and does not endorse the sites or information on the sites in any way. The Internet links in the Resources section are provided to you as a suggestion only. You are welcome to use any blog site you choose as long as your colleagues and the Instructor can access the site. In our ever advancing technological era. It seems that cheating and plagiarism are still alive and well. It may even be easier due to the ability to cut and paste. It may also be that it is actually more visible because it is online. (Laureate Education, 2010). In order to avoid using sources as your own work, simply correctly cite resources you have used, providing you have at least some information, using tools online such as www.sonofcitation.com , <a href=”http://www.easybib.com”>www.easybib.com, www.citationmachine.net, www.bibme.org, www.citefast.com, www.citationcreation.com to name a few. With online tools available, there really is no excuse not to have a Resources or References page. Plagiarism detection software is available and in use, do not think otherwise. Some software available are www.turnitin.com, http://plagiarisma.net, and http://www.grammarly.com. One website lists 10 Plagiarism detectors/checkers: http://elearningindustry.com/top-10-free-plagiarism-detection-tools-for-teachers. There are many more available. For some of these checkers/detectors, it depends on the content. According to Dan Carbera’s article Tips to Reduce the Impact of Cheating in Online Assessment found on http://facdevblog.niu.edu/onlinecheating, there are steps for preventing and reducing cheating on tests and homework assignments. With these designs in mind, it may reduce the instances of cheating, but won’t completely eradicate it. Is it 100% preventable? In my opinion, it is 95% possible if we educate students on fair use, copy right, etc. If in doubt, ask a Librarian! (Laureate Education, Producer. 2010). As a future online instructor, I plan on using whatever the university / company has in place first, if they have one. I have http://plagiarisma.net downloaded to my computer and will utilize that as a tool as well. As far as testing and homework – for an educational setting, I really like Dan Cabrera’s list. Some of these (for testing and creating homework assignments) I have thought of and used. I think they worked well and the students had to have the knowledge to answer the questions. I do not mind open book or open note testing. I prefer it as it lessens the testing anxiety. They still need to know their way around the material as it will have a time limit. I like this statement. “If students trust their teachers – to help them learn, and not to penalise them unfairly – they are much more likely to put energy into their studies” (Martin, 2004). I feel if an instructor can get to “know” their students in the beginning of class and build up a level of comfort and trust, they will more than likely do their own work. Having positive and constructive feedback fuels my cells. I know my ideas are seen and heard. If someone reading them likes what I have to say, that is just a bigger boost to “be me” and to keep doing a good job or better with the posts / assignments. Having policies and rubrics in place, rules to follow and be guided by, is a great help. One knows where they stand. If ever in doubt, JUST ASK! Martin, B. (2004). Plagiarism: policy against cheating or policy for learning.